Buying a car is a big investment, one that requires a little work from you if you’re going to get the most out of it. Proper care and car maintenance will not only ensure that you get the most out of the money you’ve put in, it will help you get more from it if you decide to sell or trade it in later. Tires: Check your tread by inserting a penny with Lincoln’s head down, facing you. If you can see his hairline, it’s time for new tires. Also, regularly inspect tires for damage and proper inflation. Brakes: Inspect brakes for leaky fluid, worn pads, damaged rotors, or other defects. Take care of any issues you find immediately. Fluids: Oil, power steering fluid, transmission fluid, and coolants should be checked and topped off every week or so, depending on the age of your vehicle. Oil and Filter: Your engine oil and filter should be changed every 3-5,000 miles to keep your engine running smoothly and to remove any particulates. Windows: Keep your windows clean and replace wiper blades if you notice they aren’t entirely clearing water and debris from the windshield. Interior: Keeping your interior tidy not only makes for a more pleasant Mesa commute, it prevents damage that can hurt your car’s value. Whether you take advantage of our low down payment offers to finance your used car purchase, or you already have a pre-owned model at home in Tucson, these tips will help you keep it in top shape, so the money you spend will go farther. Bought a used car full of stickers? 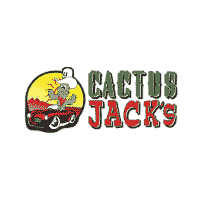 Learn how to remove stickers from a car, it’s easy with Cactus Jack's Auto!